The count down to Christmas is on – 3 sleeps to go. 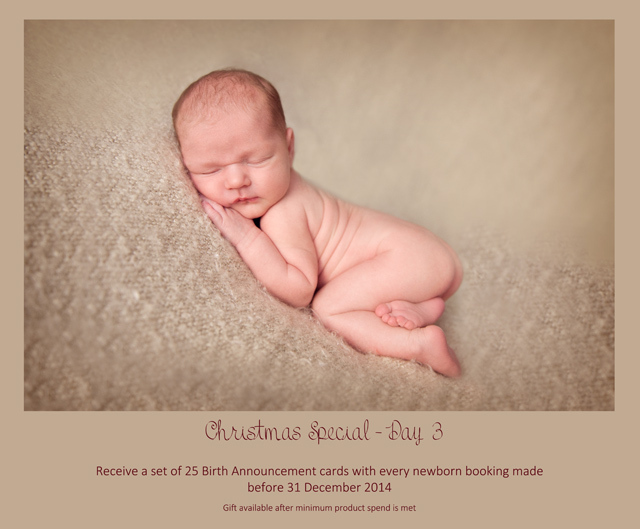 Mary Wheatley Photography has some wonderful Christmas specials heading your way. Over the next 5 days leading up to Christmas I will be releasing a new special available for all bookings made before 31 December 2014. When you book your session before 31 December 2014, you can choose from any of the specials available. Booking must be made and session fee paid before midnight on the 31st December 2014. Special must be claimed before 30 June 2015. Only 1 special per booking. Not available with any other special.